Professor Araragi is the resident Pokémon professor of the Isshu region. 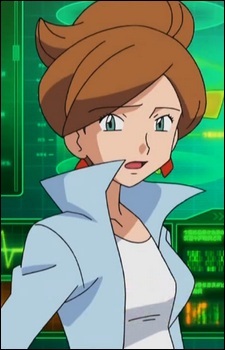 She is the first main series Pokémon professor who is female. She offers Tsutarja, Pokabu & Mijumaru to prospective trainers. While Araragi is the first female professor in the games, she will not be the first female professor in the anime, being beaten by Professor Ivy of the Orange Archipelago by more than ten years.